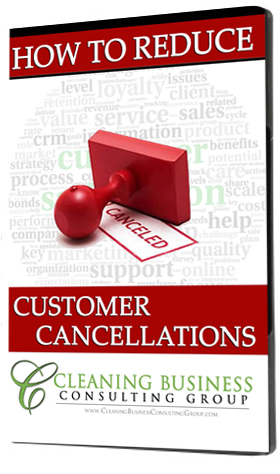 In our never ending quest for reducing customer cancellations, there are 3 tried and true strategies that work. If you determine how to use these in the day to day operation of your business, I guarantee you will see results in customer satisfaction. 2. Appreciate Their Business and make certain they know it: You accomplish this by first thanking them for their business and next by graciously accommodating every need they have that is within your power to accomplish. Even when you can’t meet their need, you help them by finding the person or organization who can help. By treating each customers as if they were the only one you have, your message of appreciation will be heard. This means that every contact, communication, email, text, phone call, in person meeting between your clients and your company is conducted with the same level of customer care. The same level of “thank you for the opportunity” “it would be our pleasure to take care of that for you” “we are most happy to help” etc must permeate throughout your company and employees. There is no room for “sorry about that” or “we don’t do that” or ” its not our policy”. Companies who use the latter three phrases consistently will spend countless money on advertising only to have a customer churn and turn rate that they can’t understand. Make sure they feel the love! 3. Whomever is Not Onboard Should Get Off The Train: The culture of customer satisfaction starts at the top of any organization and the level to which it will be executed also comes from the top. It does no good for a business owner to spout all that is done for the sake of customer satisfaction if there is not follow thorough at every level of the company. Having zero tolerance for less than desirable customer satisfaction sets the bar for all employees to follow. The moment an owner, manager, supervisor enables poor customer satisfaction issues to grow, is the moment the bar is lowered. Each time we excuse poor performance and conduct it’s another step closer to destroying the corporate culture you are building. Hire employees for their service and accommodating attitude and train them on technical aspects of our industry. 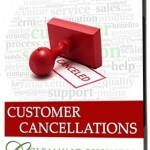 If they don’t “get” your customer satisfaction standards, retrain or replace. You can’t afford not to. "PLEAZZZZ Tell Me What I Should Charge"
How Saying "NO" Can Save Your Business!